After bulgogi, this is a Korean cuisine favourite in the Feastively kitchen. It’s the perfect dish to savour any seasonal veggies. 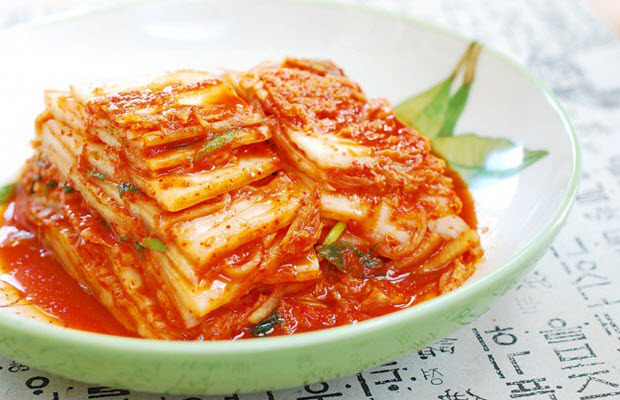 It’s packed with probiotic kimchi, lots of protein and oodles of flavour from Gochujang paste, a fermented soybean and pepper mixture. It’s traditionally cooked by sauteeing the veggies and meats and served on a bed of rice cooked in a clay pot. I still fondly remember my time in Seoul in the middle of winter when this would be a welcome dish. If you let the veggies cool down you can still have it in summer. Imagine a barbecued steak, sliced with its juices, sitting atop the sesame coated rice alongside these delicious veggies. Mmmm my mouth’s salivating just thinking about it. You can get gochujang at most Asian grocery stores. The pastes vary in terms of heat. I personally use the hot one and it’s really not that hot. Make sure you use a good quality sesame oil. We need this for adding a strong sesame flavour to the dish. You’ll find these in most supermarkets in the Asian food section. I’ve used Chang’s and Yeo’s brand before and they’re both good. Kimchi can be a tricky one. I’ve had the ones from the supermarkets but they lack the full flavour profile. Ideally, you want a strong peppery flavour with vinegary sourness. The cabbage should have become nice and tender and absorbed much of the spice. Again, you’ll be better off buying one of these from the Korean grocery stores in Melbourne CBD. 60 ml Sesame oil Try not using olive oil because it will change the flavour. Vegetable oil and canola oil are too mildly flavoured to make a difference.